I’ve been writing poetry and adventures for teens and children since 2004. My poems and stories have been published in several domestic and international literary reviews, newspapers, magazines, and anthologies including Chicken Soup for the Child’s Soul (HCL 2007), anderbo.com , Bitter Oleander , and U.S. 1 Worksheets. My chapbook—PACING THE MOON—was released by Flutter Press in 2009. In 2009, I was a Franklin-Christoph Poetry Merit Winner and the Whidbey Student Choice Winner for June 2010. Penumbra Publishing released THE TIDE CHANGERS, my middle grade undersea adventure, in December 2011, and it’s available here. Prior to writing fiction, I lived in Germany and traveled extensively throughout Europe. I trained as a classical ballet dancer, has a BFA in dance from Florida State University, and taught and choreographed for several years, including leading the liturgical dancers at Truro Anglican Church. I am active in the SCBWI and work with local children’s reading programs. I currently live in northern Virginia with my husband, two cats, and one pup. You are so kind. I am always trying to improve. Best wishes on your journey, too! Thanks for swinging by my blog, Sandy. It’s always a pleasure “meeting” a fellow scribe! Thanks to you, too. I see we’re both Marc Schuster fans! Congrats on your new book! You are welcome! God bless! Hi Sandy! I enjoyed so much of your poetry that I could not “like” them all so I thought I should come here and tell you so. 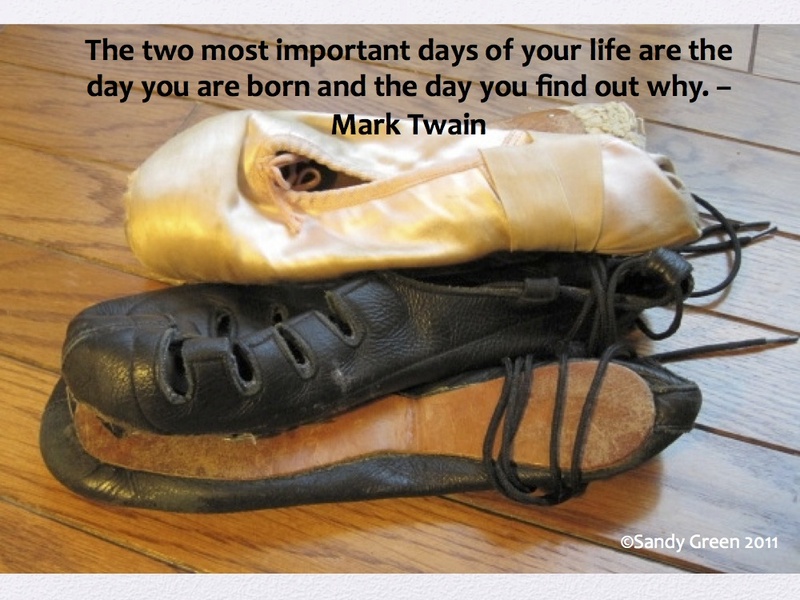 My mother was a ballerina and a dance instructor. I have met so few. I can recall her dancing in a production of Swan Lake until her wrapped toes were bleeding. It is a classical talent beyond words. You are quite accomplished! Thanks for visiting and leaving such a kind message. Yes, I remember many, many bloody toes! Writing is much less painful. Thanks, again!